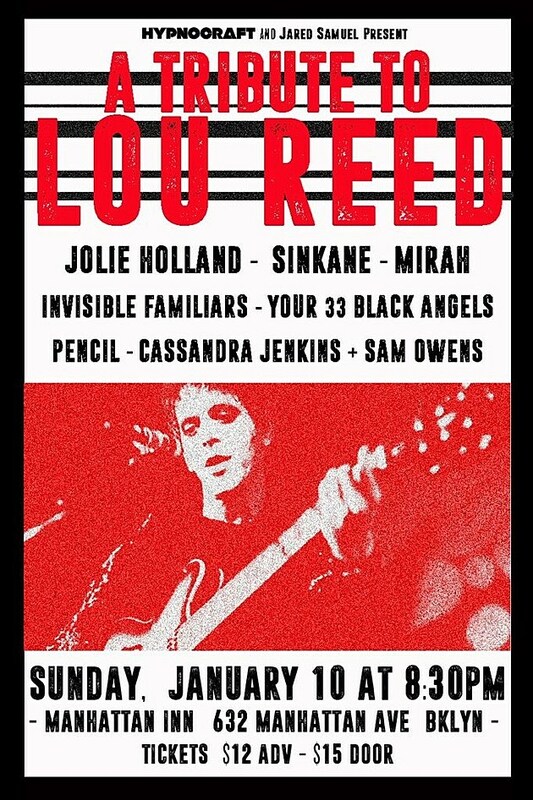 The late, great Lou Reed will be paid tribute by a number of quality musicians on January 10 at Manhattan Inn. The lineup includes Jolie Holland, Mirah, Sinkane, Pencil (mem Big Thief), Invisible Familiars, Cassandra Jenkins, Sam Owens (Celestial Shore), and Your 33 Black Angels. Tickets go on sale today (12/21) at noon.